More casual chefs here. Other Peruvian Chefs here. More Singaporean Chefs here. First of all, Daniel Chavez is the chef and owner of “OLA” Cocina del Mar, an unpretentious Spanish eatery in Marina Bay Financial Centre. 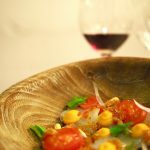 In addition, “TONO” Cevicheria, a vibrant Peruvian Concept, first of its kind in the whole of Asia. 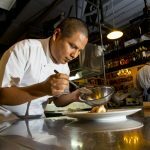 Later, as a teenager, Daniel’s family moved from their homeland of Peru to Florida, where he discovered a passion and talent for cooking. Next, this started him on a journey of learning and exploration, taking him to kitchens all over the world. 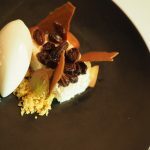 There, in Spain, working in 3 Michelin Star “El Raco de Can Fabes” kitchen of prominent avant-garde Spanish Catalan Chef Santi Santamaria, opened his eyes to importance of seasonal produce and simplicity as a way of cooking expression. Years later Daniel would go on to open “Ossiano” by Santi Santamaria in The Atlantis Hotel Dubai as Chef de Cuisine. Two years later as an Executive Chef in “Santi” Marina Bay Sands, Singapore. As a result, time spent in the kitchens of “Les Amis”, under Chef Gunter Hubrechesen, introduced French cooking techniques to Daniel. Also, it was pivotal to helping him better understand the food loving culture of Singapore. 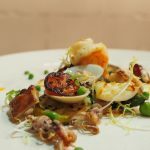 Indeed, dishes are tasty, light and refreshing to the palate, with ingredients that complement and highlight the natural flavours of the produce. Some plates are reflective of his training in Spanish cuisine, others an homage to Peru. As a consequence, Daniel has teamed up with some renowned World wide recognised chefs for very special culinary collaborations. For example, this would include names like Gaston Acurio (Astrid y Gaston), Virgilio Martinez (Central), Mitsuharu Tsumura (Maido) from Peru; Gaggan Anand (Gaggan), Mathias & Thomas Suhring (Suhring) from Thailand and Paco Morales (Noor) from Spain, Julien Royer (Odette) and Jason Tan (Cornerhouse) from Singapore just to name a few. 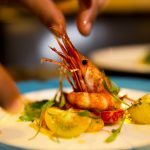 participate in unique events as a Guest Chef. 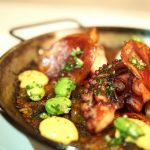 For example, the Ubud Food Festival 2018 in Bali, The WonderFruit Festival 2017 in Pattaya, Les Aromes Festival 2017 in The Metropole Hotel Hanoi, Through both restaurants, Daniel’s aim is to serve the best traditional cuisine in the most relaxed atmosphere – you can truly feel at home at OLA Cocina Del Mar and TONO Cevicheria.